Toni Morrison, original name Chloe Anthony Wofford, (born February 18, 1931, Lorain, Ohio. Living in an integrated neighborhood, Morrison did not become fully aware of racial divisions until she was in her teens. American writer noted for her examination of black experience (particularly black female experience) within the black community. She received the Nobel Prize for Literature in 1993. Morrison grew up in the American Midwest in a family that possessed an intense love of and appreciation for black culture. Storytelling, songs, and folktales were a deeply formative part of her childhood. She attended Howard University (B.A., 1953) and Cornell University (M.A., 1955). After teaching at Texas Southern University for two years, she taught at Howard from 1957 to 1964. In 1965 Morrison became a fiction editor at Random House, where she worked for a number of years. In 1984 she began teaching writing at the State University of New York at Albany, which she left in 1989 to join the faculty of Princeton University; she retired in 2006. 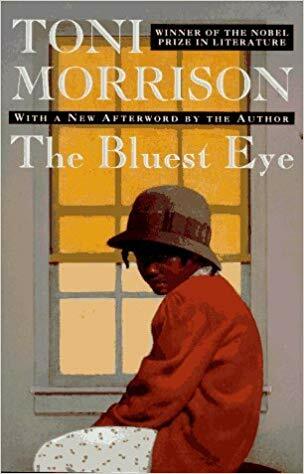 Morrison's first novel, The Bluest Eye, was published in 1970. She used as her literary first name "Toni," based on a nickname derived from St. Anthony after she'd joined the Catholic Church. The book follows a young African-American girl, Pecola Breedlove, who believes her incredibly difficult life would be better if only she had blue eyes. The controversial book didn't sell well, with Morrison stating in a 1994 afterword that the reception to the work was parallel to how her main character was treated by the world: "dismissed, trivialized, misread." In 2006, Morrison announced she was retiring from her post at Princeton. That year, The New York Times Book Review named Beloved the best novel of the past 25 years. She continued to explore new art forms, writing the libretto for Margaret Garner, an American opera that explores the tragedy of slavery through the true life story of one woman's experiences. The work debuted at the New York City Opera in 2007. Morrison traveled back to the early days of colonialism in America for A Mercy (2008), a book that some have construed as a page-turner in its unfolding. Once again, a woman who is both a slave and a mother must make a terrible choice regarding her child, who becomes part of an expanding homestead. As a critic from the Washington Post described it, the novel is "a fusion of mystery, history and longing," with the New York Times singling out the work as one of the 10 Best Books of the year. Now in her 80s, Morrison continues to be one of literature's great storytellers. She published the novel Home in 2012, exploring a period of American history once again—this time, the post-Korean War era. "I was trying to take the scab off the '50s, the general idea of it as very comfortable, happy, nostalgic. Mad Men. Oh, please," she said to the Guardian in reference to choosing the setting. "There was a horrible war you didn't call a war, where 58,000 people died. There was McCarthy." Her main character, Frank, is a veteran who suffers from post-traumatic stress disorder, a condition that adversely affects his relationships and ability to function in the world. While writing the novel, Morrison experienced a great personal loss. Her son Slade died of pancreatic cancer in December 2010. Around the time that Home was published, Morrison also debuted another work: She worked with opera director Peter Sellars and songwriter Rokia Traoré on a new production inspired by William Shakespeare's Othello. The trio focused on the relationship between Othello's wife Desdemona and her African nurse, Barbary, in Desdemona, which premiered in London in the summer of 2012. That same year Morrison received the Presidential Medal of Freedom from President Barack Obama. Living in an integrated neighborhood, Morrison did not become fully aware of racial divisions until she was in her teens.